Dawn is not a girl who is very adventurous with food. She usually stick to her own comfort zone when it comes to the choice of food. Things like bread, potato, carrot, fish, rice, kuay teow forms her daily diet. We have to encourage and praise a lot, in order for her to try new food. 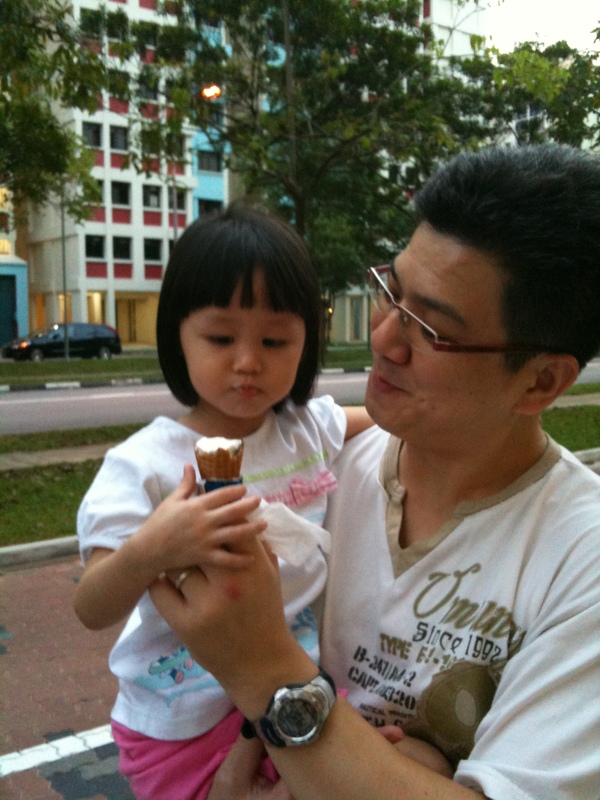 And she has been snatching Gong Gong, Mummy and Uncle Patrick’s ice cream cone ever since then! This entry was posted in Bzmommyhood, Dawn and tagged Dawn.